When it comes to salad dressings for me – I opt for a vinaigrette every time. I am not a fan of ranch dressing or any dressing that has mayo in it. What I am a fan of is a nice mixture of vinegar and oil. What makes the mixture even better is the addition of some fresh in season fruit. During peach season I really want to try throwing some peaches into the mix. 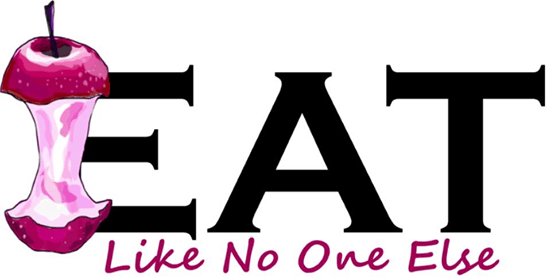 This is one of those cases that choosing good ingredients is the key. This recipe ha so few ingredients, 3 to be exact. It all starts with the peach. Choose the best of the season peaches (check out my post on when peach season is). That need to be full of flavor or I would pass on them. Can or frozen just aren’t going to cut it. 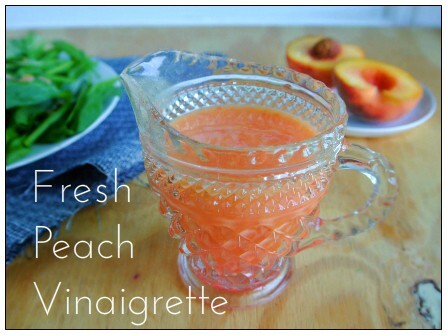 That means there is a limited window in which to use good fresh peaches to make this vinaigrette. I am ok with that. 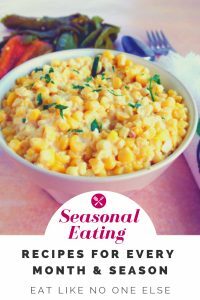 I am all about eating seasonally – enjoying what’s available at the time. When winter comes I make dressings made with citrus. When life is ready to give me good peaches that is what I am going to use. 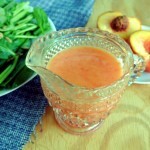 I have read several other peach vinaigrette recipes online. Some called for the use of sugar. I think if you need to use sugar that means you don’t have the right peaches. This vinaigrette uses white balsamic vinegar. This vinegar has a good fruity flavor that really complements any fruit it comes in contact with. It’s not as strong or overbearing as it’s dark cousin. I like the white balsamic available at Trader Joe’s. It’s not very expensive and has an excellent flavor. As for the oil part of this dressing, choose something that is mild. This isn’t the time to break out the expensive extra virgin olive oil. I don’t want any other flavor that is going to diminish the flavor of the peaches. I recommend using grape seed oil, sunflower seed oil, or rice bran oil. All of these are neutral in flavor and are non-GMO oils. In the past I might have used canola oil but a lot of canola oil available is from genetically modified canola and I have no reason to be eating that. 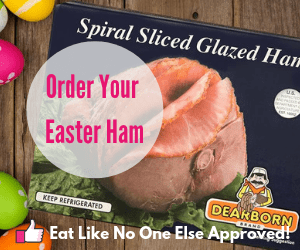 When you combine all three of these ingredients in the right proportions you come up with a well balanced dressing that is sweet and acidic, and most important flavorful. I was extremely happy with what I could do with just 3 ingredients (and a little salt if needed). Place all the ingredients into your food processor. 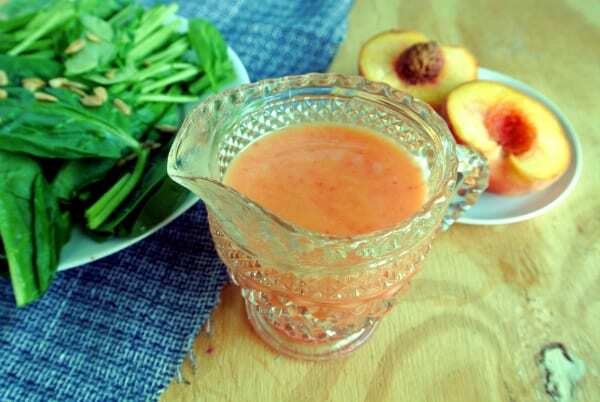 Leave the skin on the peach as it will add nutrition and a pretty color to the dressing. Process for about 1 minute until everything is incorporated.